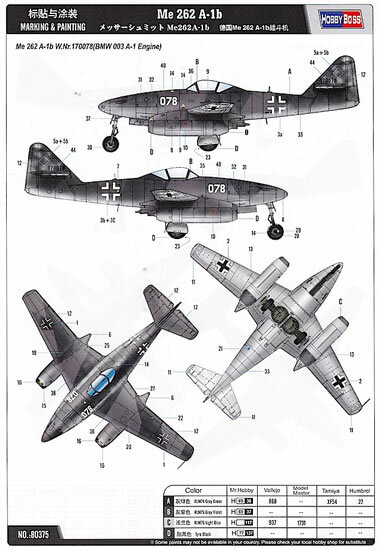 Approximately 181 grey plastic parts; 4 clear plastic parts; 1 white metal part; 1 decal sheet containing markings for 2 aircraft; 8 page A4 fold out black and white instruction sheet; double sided A4 full colour painting and marking guide. 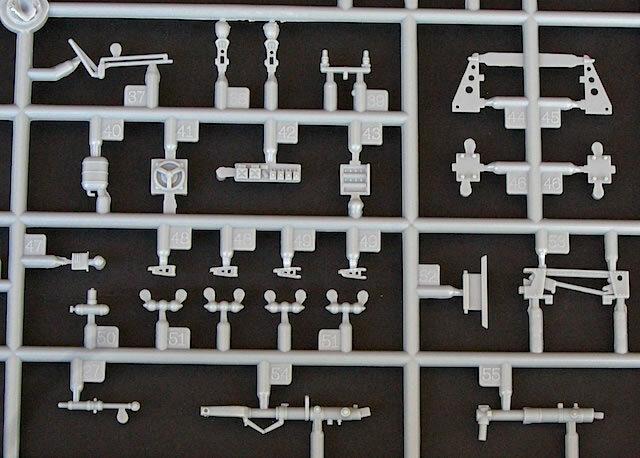 I can see what the fuss is about in relation to HobbyBoss’ 1/48 Me 262 kits – highly recommended to anyone interested in building a representative collection of Stormbird variants. For its first jet-powered flight in March 1942, the Messerschmitt Me 262 V1 was fitted with two BMW TL.3302 turbojets in addition to its Junkers Jumo 201G piston engine. This flight was successful, but several days later both turbojets lost power mid-air and the prototype was damaged in the ensuing heavy landing. Broader problems with the BMW engines soon saw them abandoned in favour of Jumo 004 turbojets, which were used on almost every subsequent Me 262. However, the breadth of the Me 262 test program meant that there were exceptions to this rule. One of these was the Me 262 A-1b, developed in 1943-44 as a hedge against a possible shortage of Jumo engines. Powered by BMW 003 gas turbines (the same engine used on the Heinkel He 162) the A-1b prototype was a technical success, with flight characteristics equal to and in some cases superior to those of Jumo-engined machines. But despite this the project did not progress, with no more than three – and possibly only one – Me 262 A-1bs ever completed. The type has fared little better in model form, with (so far as I am aware) only a couple of conversion sets available in 1/48 scale from Antares and Highflight. 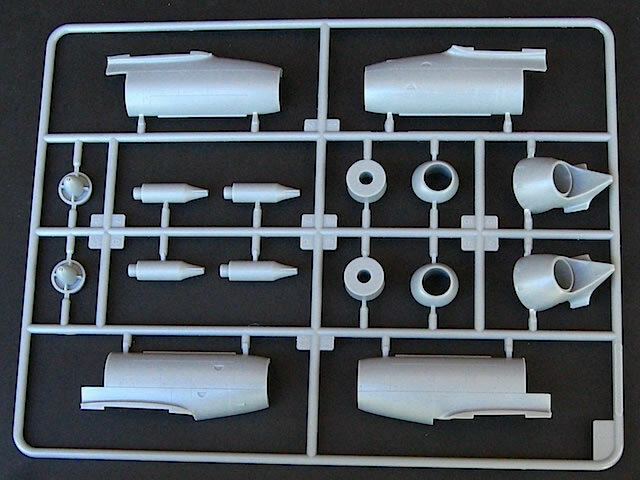 While the Antares conversion for the Tamiya Me 262 A-1a kit is still available, the Highflight set is out of production and difficult to find. 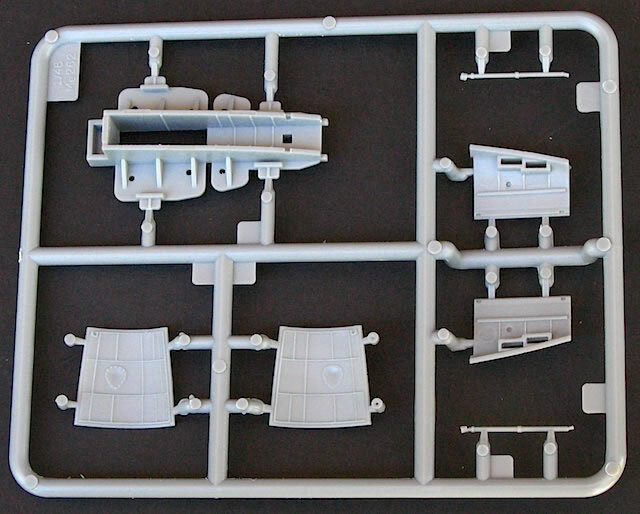 HobbyBoss’ new Me 262 A-1b is therefore a welcome addition to its family of 1/48 Me 262 kits. Launched several years ago, the series now covers at least five different Me 262 variants, with more announced for future release. The HobbyBoss Me 262s have been well received, attracting largely positive reviews in relation to their accuracy, fit and levels of detail. 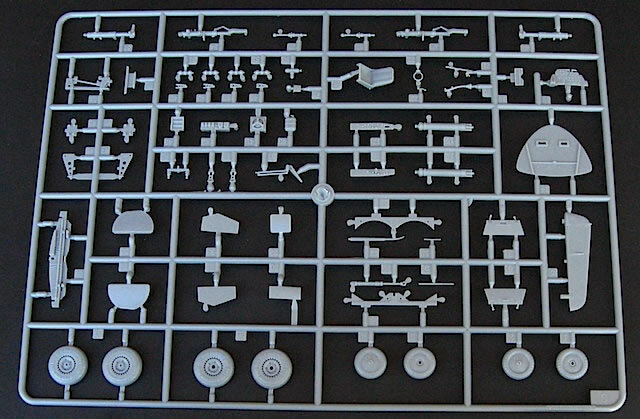 Reviewers have noted the similarity between the 1/48 HobbyBoss and 1/32 Trumpeter Me 262 kits, which is not suprising given the relationship between the two companies. 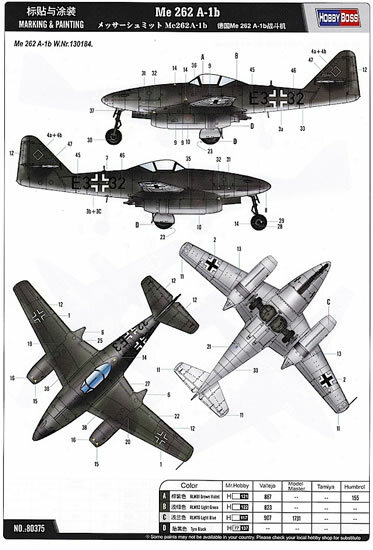 Compared to other 1/48 Me 262s, the HobbyBoss kits have generally been described as superior to the Monogram and Trimaster/Dragon kits, and approaching the standard of Tamiya’s Me 262s, which nonetheless remain the benchmark in this scale. HobbyBoss’ box art for this kit shows the single known Me 262 A-1b, W.Nr.170078/‘White 078’, flying menacingly above a formation of B-17Gs. I don’t know if the aircraft ever flew operationally, but the image makes for suitably dramatic marketing. 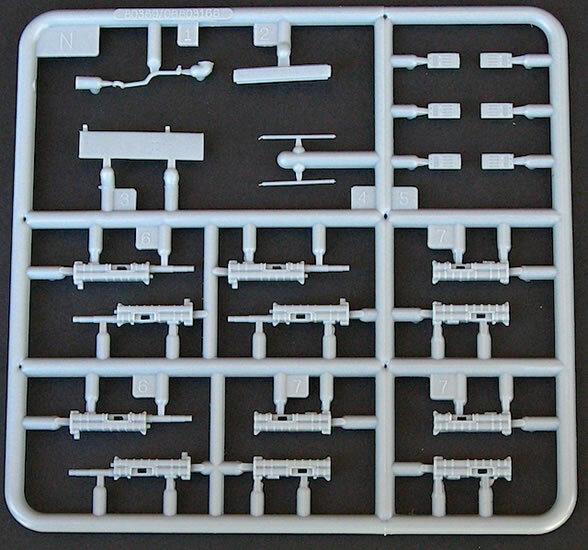 Inside the box are ten grey and two clear plastic sprues, all individually bagged except for the two sprues of Ruhrstahl X-4 missiles, which share a common bag. 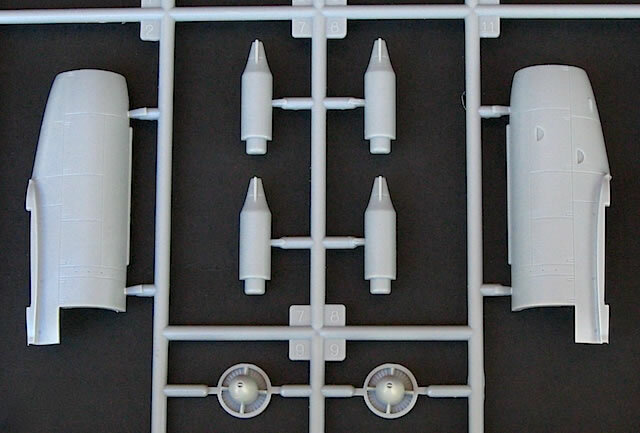 For added protection, the missile sprues and clear parts have also been wrapped in thin bubble-wrap – sufficient to ensure that they arrived in perfect condition. 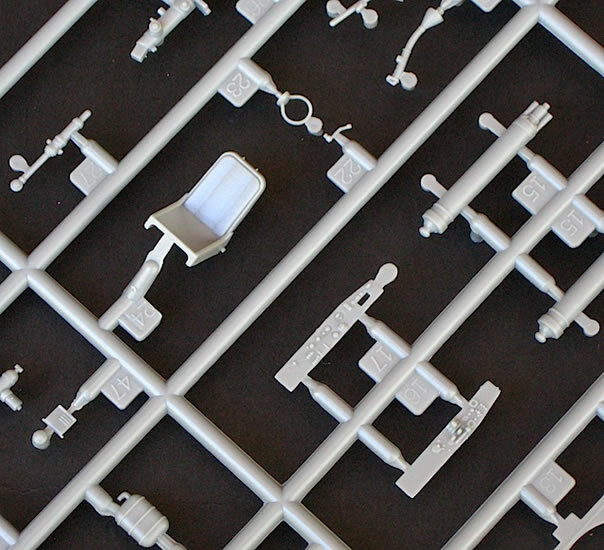 While my two boys have built a number of HobbyBoss 1/72 snap-together kits, this is the first of the company’s 1/48 kits that I’ve had an opportunity to examine. 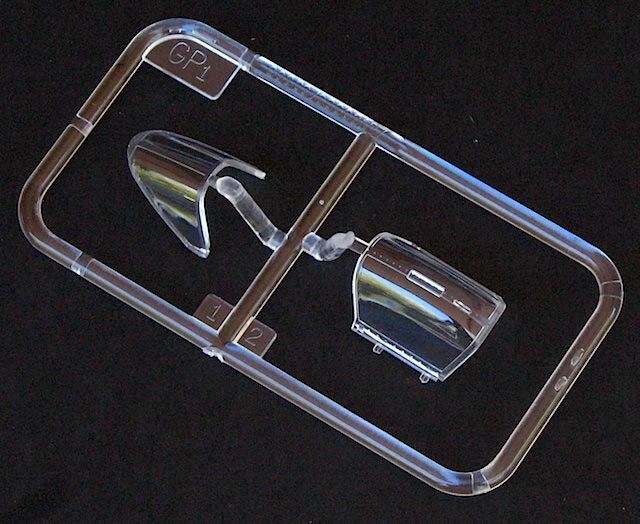 The plastic parts are very well moulded, with no obvious flash, sink marks or deformities. The finely engraved surface detail includes a large number of rivets, but these are petite and will be easily filled if you don’t like them. 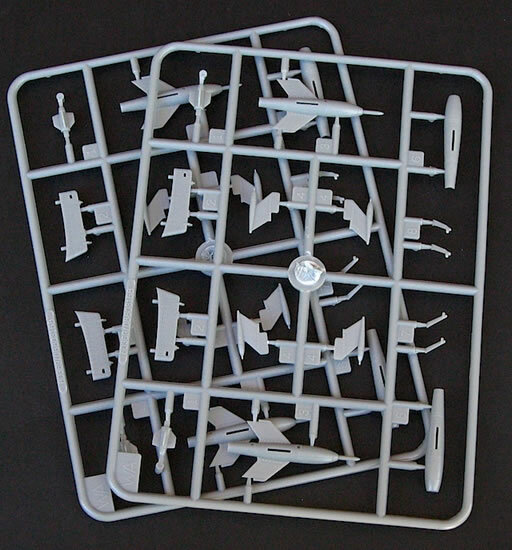 Sprue gates are attached to the joining surfaces of the larger parts, which I don’t like as I always seem to take away too much plastic when removing the gates, but I concede this is a personal view and know that many modelers like this style of attachment. Detail is good throughout the kit. The interiors of the fuselage halves are impressive, combining discreetly located ejector pin marks with full stringer detail. 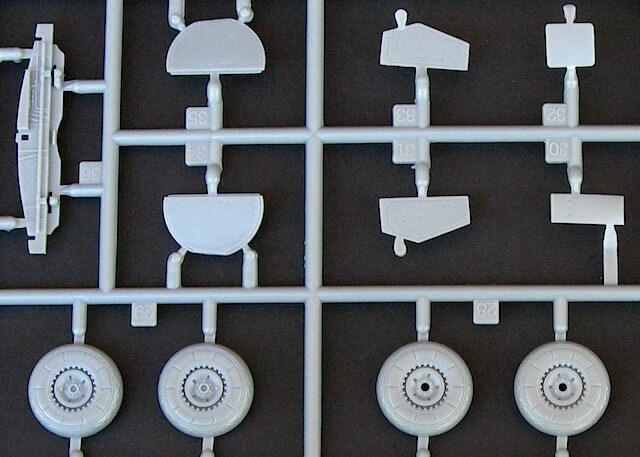 Much of the latter will be lost from view on the finished model, although a little will be visible if you decide to leave the fuselage radio hatch open – and a nicely moulded, multi-part radio assembly provides good reason for doing this. 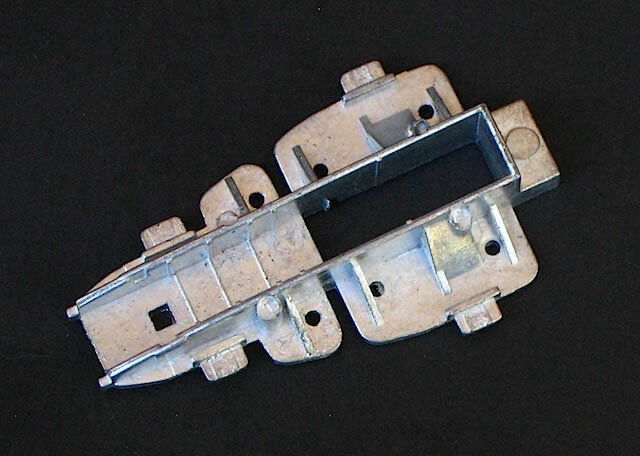 The cockpit is also well detailed, assembling as a tub that is slotted between the fuselage halves before these are glued together. The instrument panel compares well with references, and the seat also looks reasonable. I’m less certain about the side consoles – they don’t exactly match any of my drawings or photographs, but they’re not hugely off either. Decals are provided for the consoles and instrument panel, but I think painting the former and applying individual decals to the latter would achieve better results. No seat belts are included. The other major fuselage subassembly is the combined gun and nose gear bays. The main part of this unit has been cast in white metal, to help move the centre of gravity forward and avoid a tail-sitting model. The white metal part has some nice detail in the nose gear bay, which is helpful in this hard-to-get-to area. Optional nose wheels are supplied, although no advice is provided in relation to which of these applies to the kit’s marking options. 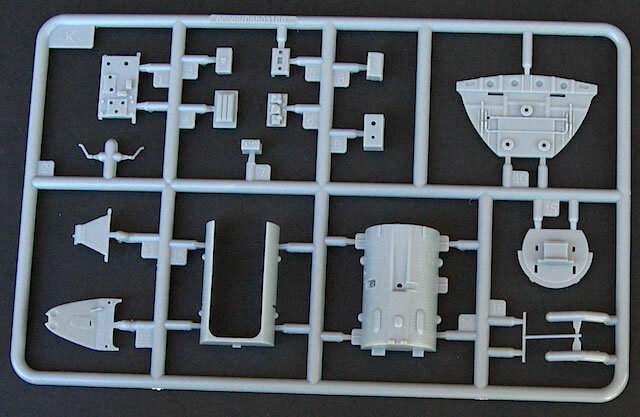 The four MK 108 cannon are well moulded and will look good if you decide to display the gun bay in the opened position. 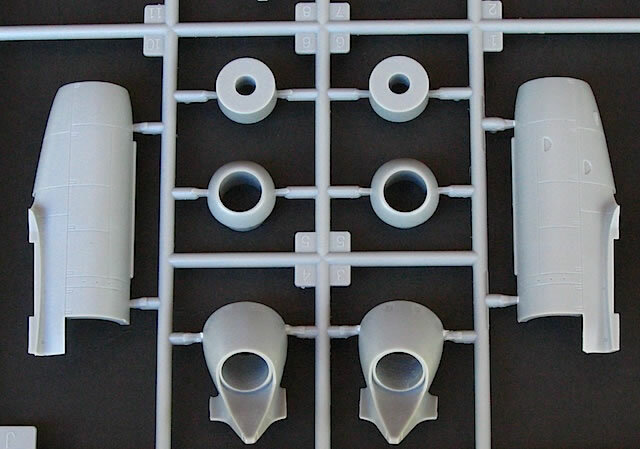 A test fit shows that the parts for the unique A-1b engine nacelles fit together well. 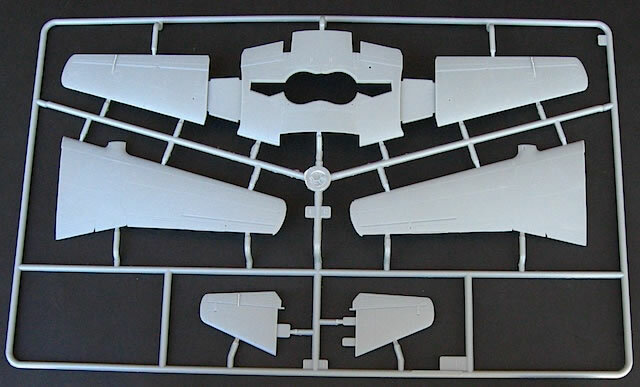 I was concerned at how well the nacelles would fit to the upper and lower wings, which HobbyBoss has moulded to accommodate the differently shaped Jumo 004 nacelles used in its other Me 262 kits. 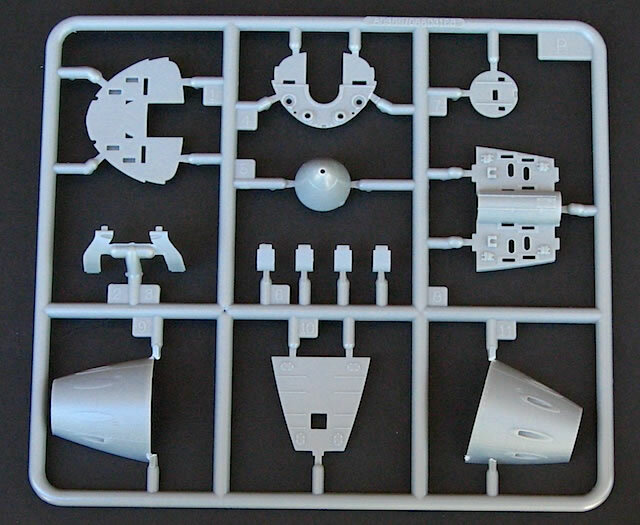 However HobbyBoss’ solution is simple: the upper wing halves have been moulded with a clearly marked ‘cut’ line on the inside of the neck that extends to the top of the nacelles. Cutting along this line and removing the excess plastic, which should only take a few seconds, will allow the A-1b nacelles to fit neatly to the front of the upper wing; all other nacelle-wing joins appear to be very good. The Ruhrstahl X-4 missiles are a welcome touch, although I don’t know if they were fitted to or tested by any of the A-1b airframes. I won’t be using the missiles on this model, but they won’t be wasted: I’m putting them aside for when I build my 1/48 Tamiya/AMtech Ta 183, because they are superior to the X-4s that come with that kit. 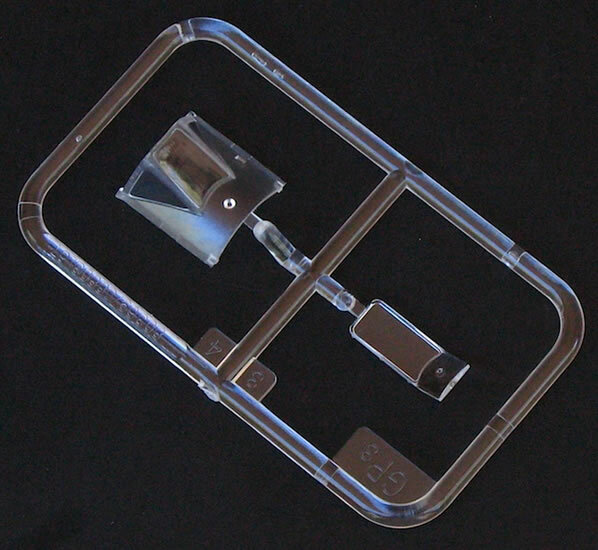 The clear parts are thin and crystal clear. The windscreen and fuselage panel immediately ahead of it are moulded as a single part, which should make it easier to achieve a convincing fit. The black and white fold out instruction sheet looks reasonably well done. 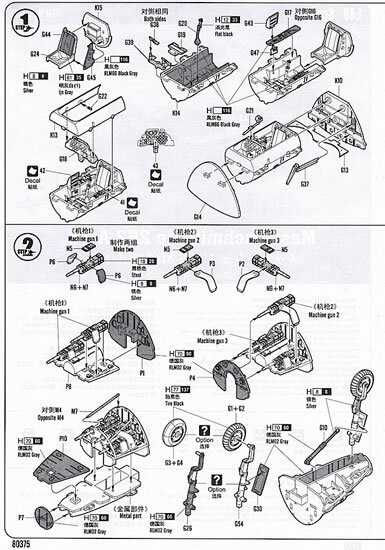 Several sections are very busy, so I would recommend studying the instructions and relevant kit parts carefully to make sure that everything is in order before you commit to glue. •	W.Nr.170078/‘White 078’, which according to Richard Franks’ Airframe and Miniature guide to the Me 262 is the only A-1b absolutely confirmed to have been built. HobbyBoss recommends finishing this aircraft in a RLM 74 Grey Green/RLM 75 Grey Violet splinter over RLM 76 Light Blue, with RLM 76 mottling on the vertical fin. 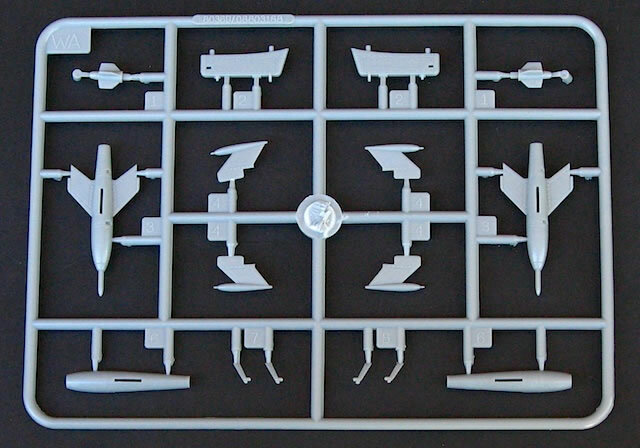 This, and HobbyBoss’ interpretation of the markings applied to ‘White 78’, accord largely with Franks’ description of the aircraft – although Franks cautions that ‘few images of the complete airframe exist’ (I haven’t been able to find any). The painting and marking guide is supplied as a full colour, double-sided A4 sheet. Four view drawings are provided of each marking option, with very clear painting and decal placement instructions. 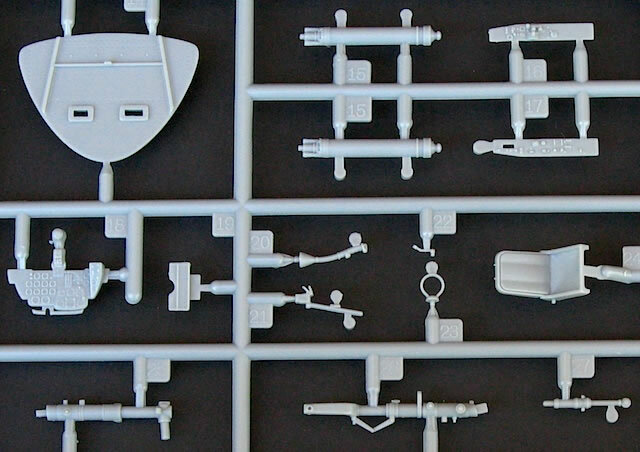 Paint colours are called out according to their original RLM numbers, as well as their Mr. Hobby, Vallejo, Model Master, Tamiya and Humbrol equivalents – very thorough, and identical to Trumpeter’s current approach. I haven’t used HobbyBoss decals before, and I’d have to say that these look unpromising on the sheet, with blotchy-looking and in some cases excessive amounts of carrier film. 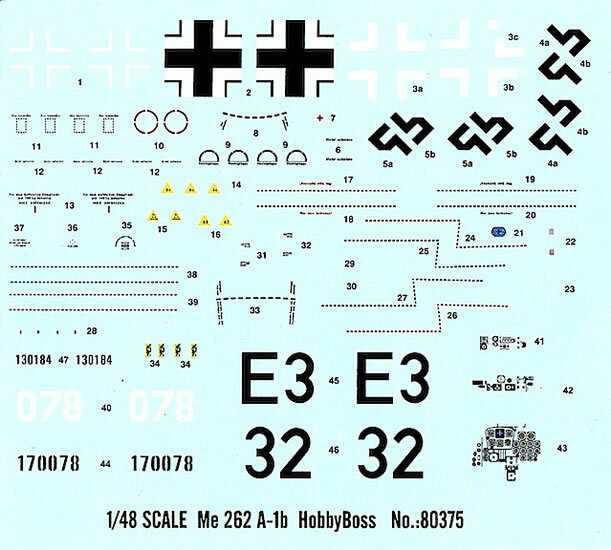 However, I’ve read several on-line build reviews of HobbyBoss Me 262s where the builders speak highly of the kit decals, so I’ll reserve judgement until I build the kit. 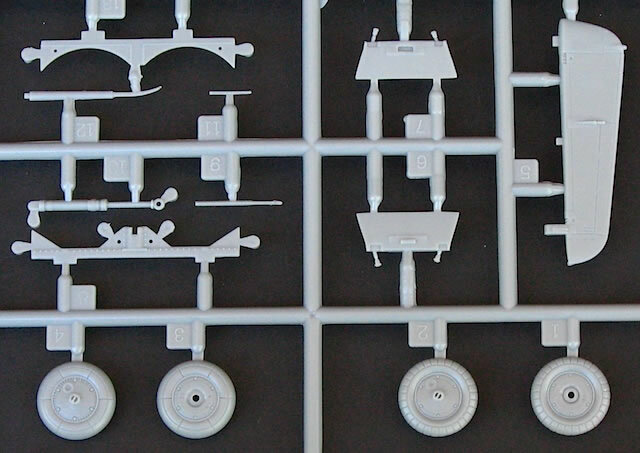 Over the past few years, I have built up a small collection of 1/48 Trimaster and Dragon Me 262 kits, focusing on less common variants such as the A-1a/U2, A-1a/U3, and A-1a/U4. I had always intended to build them, but after looking at HobbyBoss’ new Me 262 A-1b I think they are redundant for anything other than collecting. 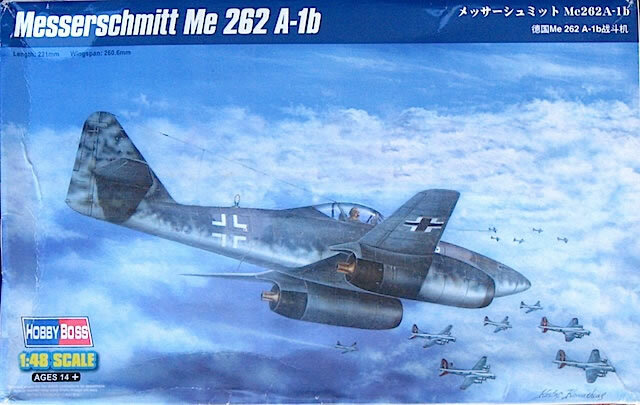 HobbyBoss’ 1/48 Me 262s are excellent kits; while arguably not as good as Tamiya’s offering, they are available in a much larger variety of boxings that will appeal to anyone who wants to build a representative collection of Me 262 variants. Richard A. Franks, Airframe and Miniature No.1: Messerschmitt Me 262 – A Guide to the Luftwaffe’s First Jet Fighter (Valiant Wings Publishing, 2010). * The Werk Nummer Resource Center (http://www.stormbirds.com/werknummer/block1.htm), citing Manfred Jurleit, Strahljaeger Me 262 im Einsatz (1993). Thanks to Creative Models Limited for the sample and for the images.